I’ve begun part II full of confidence! Now I know first row must be longer. And yesterday I haven’t paid attention (or understood) to these Mary’s words: go deeper than you intended to go (while stitching into previous rows). In fact I understood the second (and next ones) row has to enter deep into the previous row – the thread seems to sink into the stitches already made. As I was adding another colour it seemed as the previous colour vanished. 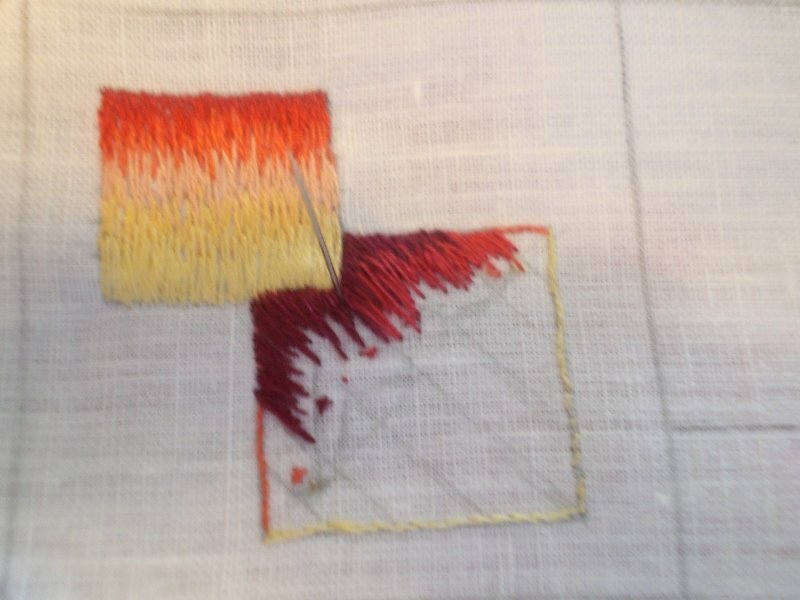 I even asked myself if I was going too deep, but while stitching we look too close and I went on. At this stage – first half – I went on confident. 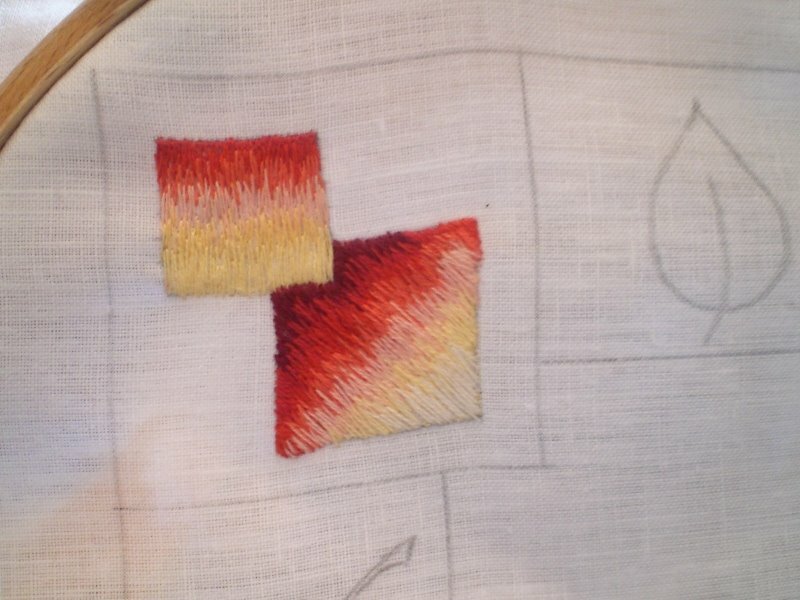 Even at third row when I was working the corners in satin stitch. I’ve no images but it looked good. But problems came soon, on second half of the square. From the fourth row I don’t like the stitches. Mainly in the corners. I over(?) 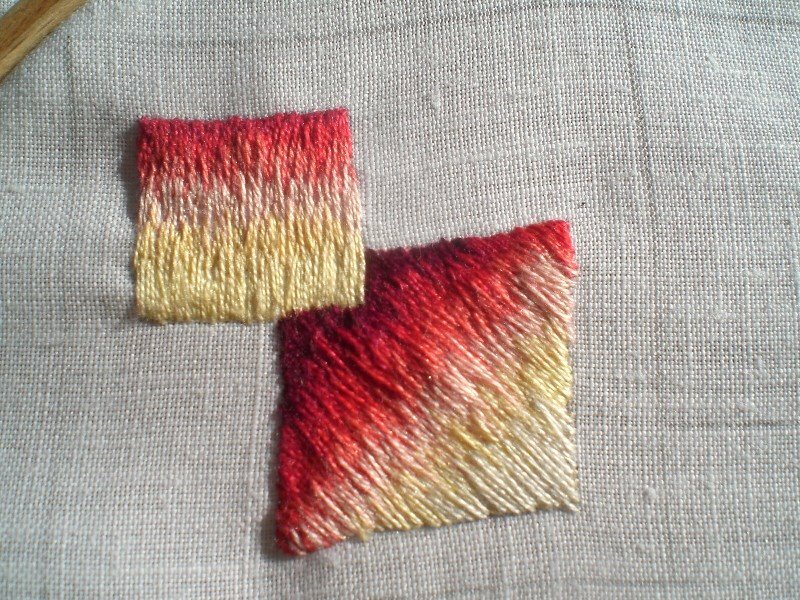 stitch the right corner and the square became a lozenge! I’m no more so confident as today morning. I can relate to your frustration because my satin stitches never look nice and even. I guess we just need more practice! I love the colours of the threads though, they look really beautiful together.